Fashion editor, international blogger and trendsetter Caroline Issa was in Berlin for Fashion Week and the opening of the first BIRKENSTOCK BOX retail concept store. During her visit, she revealed some of her favorite spots in the German capital. "Berlin is an exciting center of creativity, and Andreas Murkudis’ store is one of the most innovative in the city." BIRKENSTOCK’s retail experiment began in the courtyard behind Andreas Murkudis’s concept store on July 6, 2017 as part of Berlin Fashion Week. 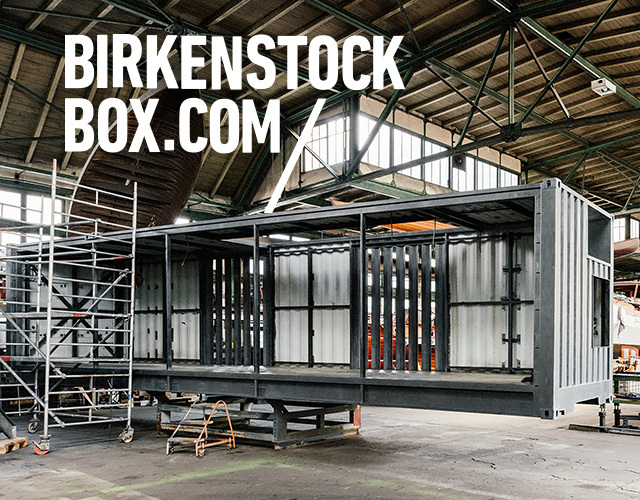 For Caroline Issa, Fashion Director at TANK Magazine, this was the perfect place for the launch of the mobile BIRKENSTOCK BOX: “Berlin is an exciting center of creativity, and Andreas Murkudis’ store is one of the most innovative in the city,” she gushed. Issa, who was born in Canada to a Chinese mother and a half-Lebanese, half-Iranian father, has visited hotspots from Singapore to Seattle. So that makes the following question all the more exciting: Besides Andreas Murkudis’ gallery-like shop at Potsdamerstrasse 81E, what are some of her favorite spots in Germany’s largest city? 1. Brandenburg Gate: This iconic landmark has a magical allure, and its columns make it a great classical background for photos and videos! 5. Walk along the Spree: The banks of the River Spree, with its varied and historic backdrop, are an excellent place for a stroll, especially the government and museum district. Take a walk with the style icon as she strolls from the Brandenburg Gate to the BIRKENSTOCK BOX. Caroline’s natural summer-in-Berlin look? A white midi dress made of light-weight linen paired with green leather BIRKENSTOCK Arizona sandals, a limited edition style for Andres Murkudis. Renowned architects Pierre Jorge Gonzalez and Judith Haase have transformed a freight container into a walk-in space that is scheduled to go on tour to selected retail stores in key cities worldwide. The first stop on the tour is Andreas Murkudis' Concept Store in Berlin. 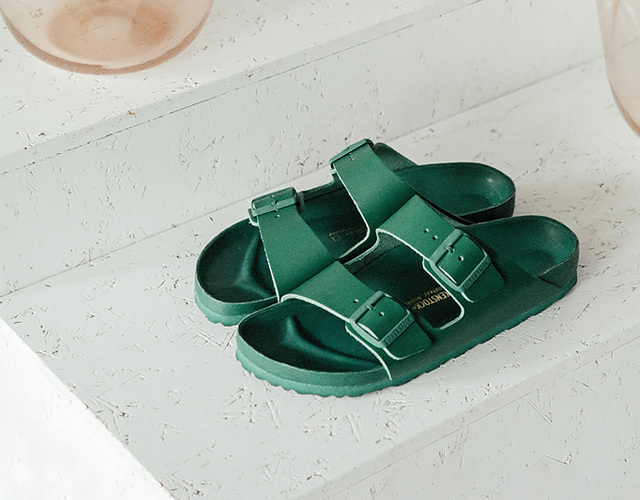 Murkudis curated the product selection for this first Birkenstock Box store, which includes limited edition Arizona Exquisite sandals in green and black.